If you are an internet user then, you might be familiar with the data usage which must be monitored to keep up with your data plans. 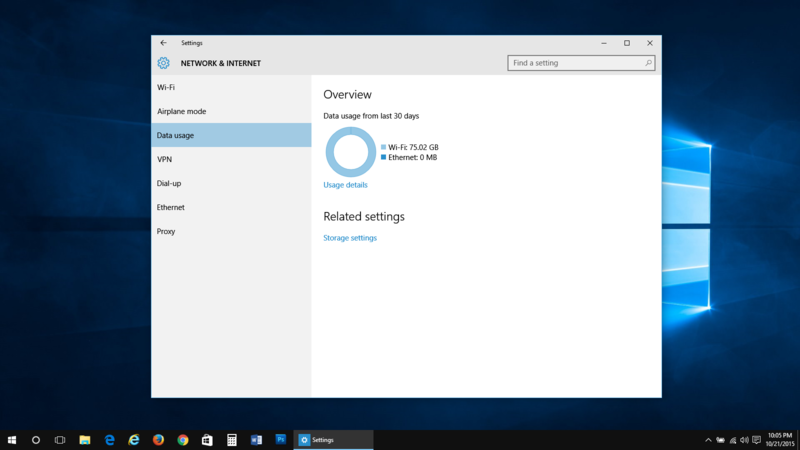 Windows 10, just like Windows 8.1 includes the option to see your Wi-Fi usage as well as see which app has used how much internet data. Simply follow the instructions below and you will be able to see how much Wi-Fi has been consumed by your PC. First of all, open ‘Settings‘ app (follow the instructions in this article to find best ways to open Settings app). Once opened, navigate to: ‘Network & Internet’ section. Here press, ‘Data usage’. You will be able to see the data usage of your device for the last 30 days. Press the ‘Usage details’ button and you will be able to see which app has consumed how much data where all your installed apps can be seen.